Another one from our trip to Bhowali. This was shot at saat-taal. If you're ever used a phone and aren't aware of the Apple iPhone (in which case you must be living on Mars), go and check it out ASAP! A lake with 7 corners sounds very interesting! Like the colours in the pic... Vibrant! And the shadow of those plants stand out well. Good capture. A lake with 7 corners sounds very interesting! There was one with nine corners too! 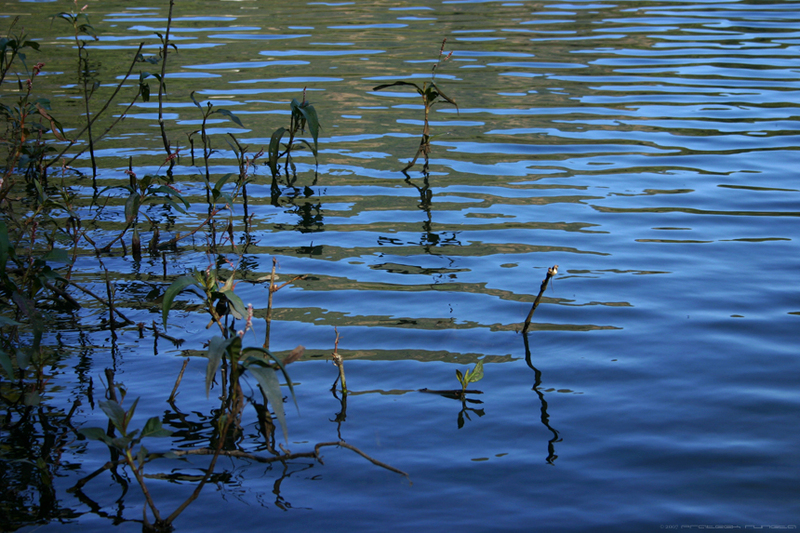 nice pic... luv the ripples..
bhowali is near nanital, is it? i remember going to these lakes while i was there.. nau-taal, saat-taal.. so many of them..
Yeah, is it near Nainital? I think they were named something like 'Naukuchiyatal'....Nice work as usual, and I noticed now, that you have changed the copyright year to 2007 too, though I wished you changed the signature too . Thanks a lot all of you and I apologize for the delay in replying. bhowali is near nanital, is it? Yes it is. Bhowali's just around 15-20 kms from Nanital and yes the place has loads of lakes like Saat-taal, Naukuchiyataal, Bhimtaal etc. @Aditya: By 'changed the signature too', are you referring to the font of 'Prateek Rungta' or something else? Yup, thought the new year should see new things.